Enoch Home Pardee was born on April 1, 1829 in Rochester, New York to a French father and a German mother. The family moved to Michigan when Enoch was seven years old. He was purported to have been a decent ventriloquist and magician in his early years. After being cured of the rare eye disease called Egyptian opthamalia by a Dr. Bigelow in Detroit, who had himself been blind for ten years, he studied with the doctor and attended Ann Arbor College to become an "oculist." He came to California in 1849 abouard the steamer Panama, landing in San Diego and eventually arriving in San Francisco in January 1850. He went to Marysville working as an auctioneer for an "ounce" a day before heading to the mines where he made a small fortune. He made another small fortune working as a doctor treating people afflicted with cholera, but he almost died from the disease himself. He returned from the mines in 1851 and became a leading doctor in San Francisco where he opened a practice on on Brenham Place (now Walter U. Lum Place) and later at 737 Clay St. In 1865, he returned to the Midwest to attend Rush Medical College in Chicago. He returned to San Francisco two years later to resume his practice. A noted marksman, he first visited Oakland to hunt quail and rabbits in 1852, but returned permanently in 1867 and built an Italianate villa at 672 Eleventh Street. 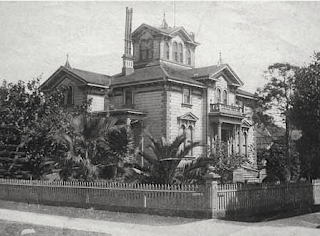 The house still stands today on the outskirts of downtown Oakland as a museum. His wife and distant cousin Mary Elizabeth died in 1870 at the age of forty. A staunch Republican and strict Unionist, he attended the first organizing meeting of the Republican Party in San Francisco. He quickly jumped in Oakland politics, getting elected to four terms on the city council (1869–1872), including one as president (1871), as well as to the State Assembly (1871–72) and State Senate (1879–82). He served two terms as Oakland's 18th mayor (1876 and 1877). Pardee was elected mayor against the backdrop of a nationwide economic depression, with growing labor unrest and agitation against "the Chinese" here in Oakland. He was confronted with mass demonstrations demanding an end to all immigration and issuing threats to burn down Oakland's Chinatown, then consisting of seventeen buildings located between Grove and Jefferson Streets, beside the railroad on Seventh Street. Pardee fought off a revolt within the Republican party and won re¬election in 1877, but his second term was characterized by such turmoil as the suspicious fire which destroyed City Hall on August 25, 1877; the declaration of martial law by Mayor Pardee; the creation of a deputized committee of safety, or Posse comitatus (common law), of almost 1,000 men; and the formation of two dissident political parties - the Workingmen's and the Citizens'. 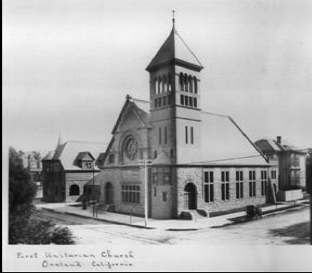 He was a co-founder of both the First Unitarian Church of Oakland and the Athenian Club, which he served as its first president. 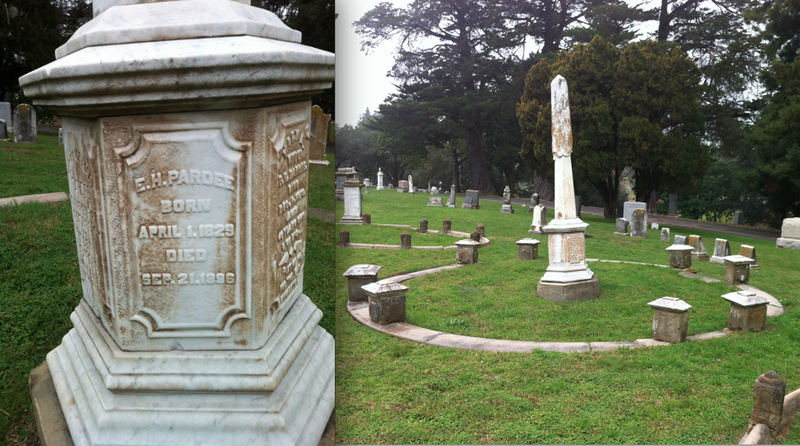 He died on September 21, 1896, and is buried at Mountain View, beside his son, George, the twenty-ninth mayor of Oakland. His only son, George Pardee, would become the 29th mayor of Oakland and the 21st Governor of California. Captain James Kellogg Remington was born in New Salem, Massachusetts in 1844 to William and Sussana Remington. He was the second captain of the steamer Solano, which was the largest boat sailing on San Francisco Bay. The boat was 424' long and over 116' wide with four tracks for railroad cars. It contained two independent vertical walking beam engines, each having a 5' diameter piston and an eleven foot up and down stroke developing 2,252 horsepower each. On her sides were two independent wheels each 30' in diameter with a 24" diameter shaft and 24 buckets. The Solano carried entire trains across the Carquinez Strait between Benicia and Port Costa, California, on the Central Pacific and the Southern Pacific mainline connecting Sacramento with Oakland on the extension of the original Transcontinental Railroad. The crossing was about 1 mile and was considered the busiest train ferry in the world. In 1904, the Solano handled approximately 115,000 freight cars and 56,000 passenger cars in one year, an average of 315 freight cars and 153 passenger cars daily, 365 days a year. In 1904, she was making between thirty six and forty six crossings every 24 hours, an average of one trip every 31 to 40 minutes, day and night, seven days a week, 365 days a year. 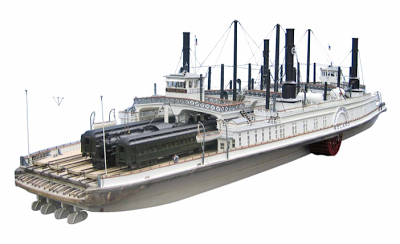 The Solano made her first trip on November 24, 1879, and Remington was the second captain of the steamer under Captain Elijah Morton. Previously, he had been a mate on the steamer Capitol, and also filled a like position on the steamers Transit and Thoroughfare, plying between San Francisco and Oakland. A serious nose infection forced him to retire as captain of the Solano. After his health improved he captained some San Francisco ferry boats. 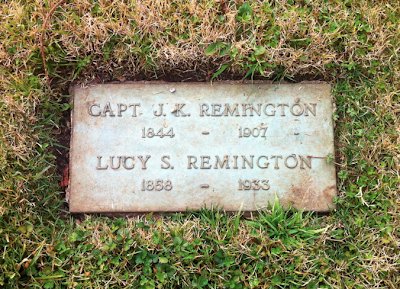 He was married to his wife Lucy in 1875 and had three children, Maud Thompson, Herbert Remington and Orie Remington.